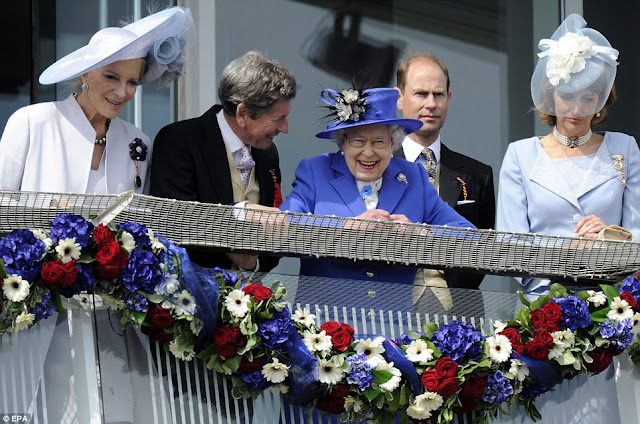 The Queen's first appearance of the weekend on her Diamond Jubilee four-day schedule was the Investec Derby Day at Epsom Downs Racecourse. Everyone knows that the Queen is passionate about horse racing. Though she never gambles, the race horses she owns and breeds make enough money for her! 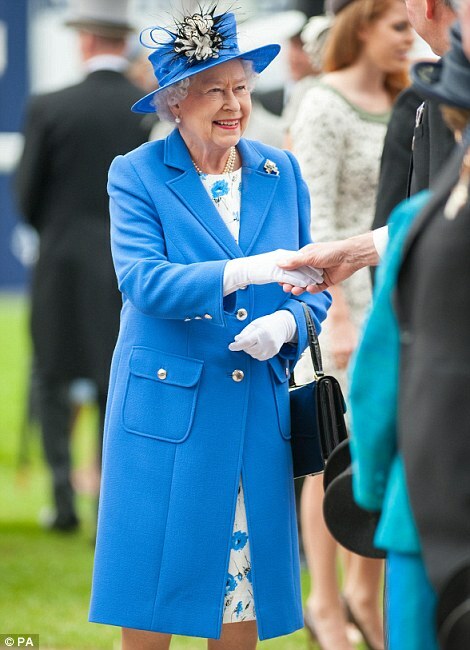 She was looking very regal in royal blue and accompanied by the Duke of Edinburgh and other various royal family members. Katherine Jenkins sang the National Anthem to a crowd of about 130,000 people. However, the best part of the day was when the sun came out to stay around 2pm. 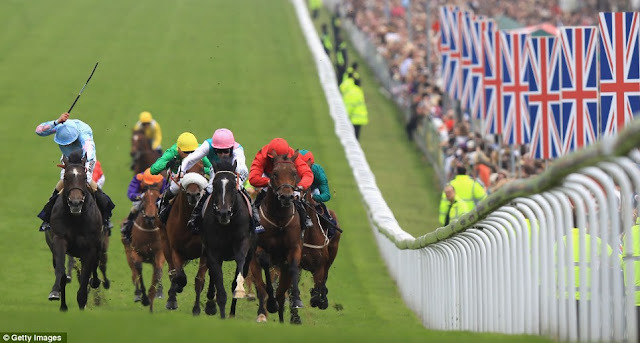 I watched the races from the Tattenham Straight Marquee, a hospitality tent overlooking the racecourse. We enjoyed a three course meal and then a wonderful tea time in the afternoon. Alcohol was included, so you can imagine that the classic British summer drink, Pimms, was flowing all afternoon! A Pimm's Cup, as it is known, mixes lemonade (or ginger ale/Sprite), fruit, cucumbers, mint, and a fortifying shot of Pimm's No. 1 gin. Why not make one for your next barbeque with the classic recipe. The classic Victoria sponge cake: delicious! Since so many readers have asked to see what fashions I wear on all of my adventures, I have decided to add a "What I'm Wearing" photo from time to time. Love what you are wearing! I am enjoying your Diamond Jubilee coverage. How fun!! I love the addition of the "What I am Wearing!". I hope all is well!